This content was published: September 29, 2011. Phone numbers, email addresses, and other information may have changed. In 50 years, Portland Community College has educated more than 1.3 million people and this year is giving back to the community in a big way to say “Thank you” for its half century of support. The college is celebrating its 50th Anniversary with a kick-off celebration from 11:30 a.m. to 1:30 p.m., Friday, Oct. 7 in Pioneer Courthouse Square (701 S.W. 6th Ave). The program will feature remarks from Senator Jeff Merkley, PCC District President Preston Pulliams and PCC alumni. PCC is turning 50 this year and doing so in grand style. Other attractions include treats made by graduates of the CLIMB Small Business Development Center’s “Getting Your Recipe to Market” program; interactive exhibits from PCC academic programs; live music from Jujuba; launch of the “Diamond Alum Awards” that will identify former students who best exemplify the PCC spirit of opportunity, achievement and service; alumni welcome center, featuring a video booth where former students can share their PCC memories; and cookies and giveaways. 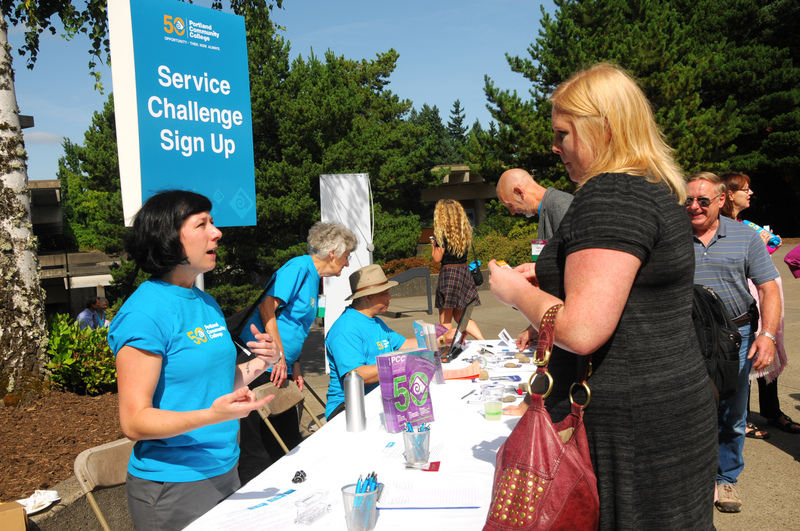 All year long, in honor of PCC’s 50th anniversary, the college has pledged to donate 50,000 hours of service to the community. PCC will partner with local community service efforts throughout the year to achieve its 50,000-hour goal, which means PCC will double or triple the number of projects and hours it usually organizes in one year. Attendees to the kickoff can sign themselves up to pledge community service to help the college reach its goal of 50,000 hours of service this year. When Oregon’s Legislature approved the formation of community colleges in 1961, the Portland Public Schools launched PCC, which was its adult vocational program at the time. And in 1962, the program took over PPS’s unused Failing Elementary School in S.W. Portland and soon after was renamed Portland Community College. Read more about PCC’s humble beginnings. 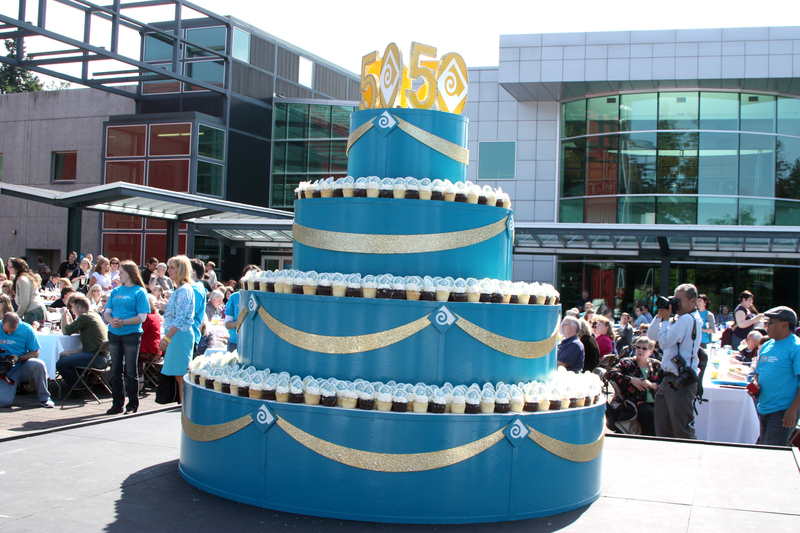 For more information on the 50th’s activities this year, visit the 50th webpage.